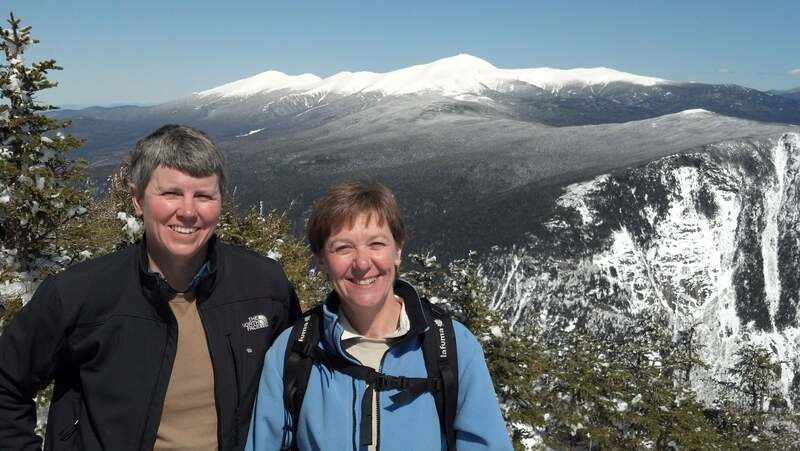 Hero Eleanor Mardin is based in scenic Holderness, NH, an area surrounded by lakes and other nature to explore. 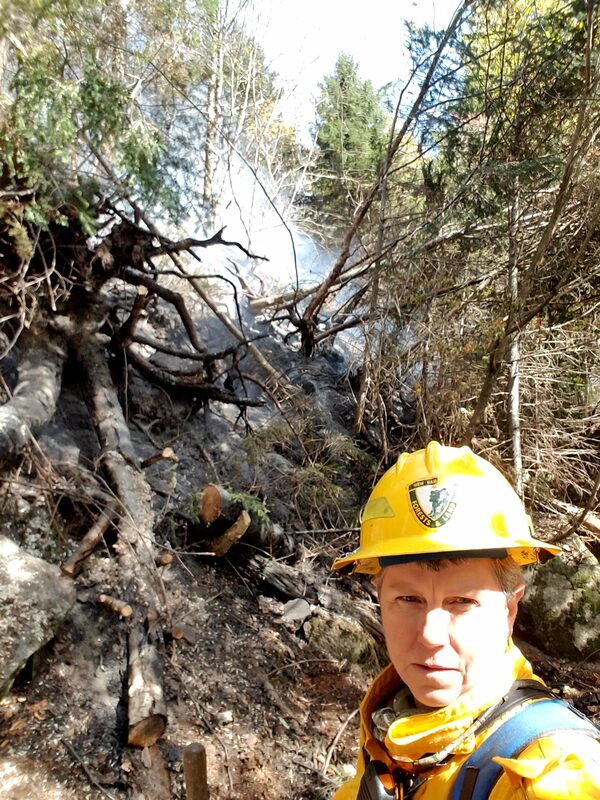 After proudly serving in the US Navy (EN1SW, 1981-1985) for more than a decade, she continues her dedication to country and community as a fire chief. We asked Mardin about her life in the Navy, her experiences as a firefighter and fire chief, and her dedication to her community and family. Mardin has an accomplished career, having earned many awards and recognitions, including Firefighter of the year in 1992, US Navy awards-Navy Achievement, Navy Good Conduct, 3 Battle “E,” Meritorious Unit Commendation, Navy Reserves Good Conduct, National Defense Ribbon, and Enlisted Surface Warfare. The list is impressive. After joining the military in 1981, Mardin was on active duty for five years. She served another six years in the reserves. 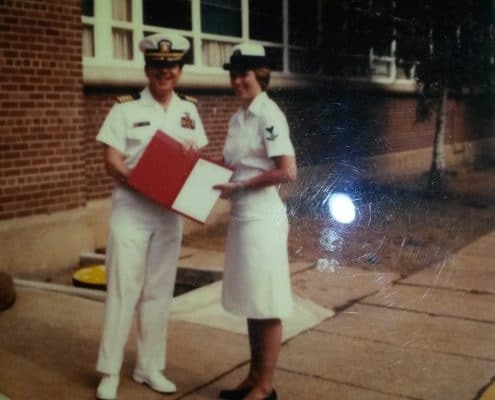 Her active duty stations in the reserves were NAVSSES in Philadelphia and the USS Simon Lake AS-33. 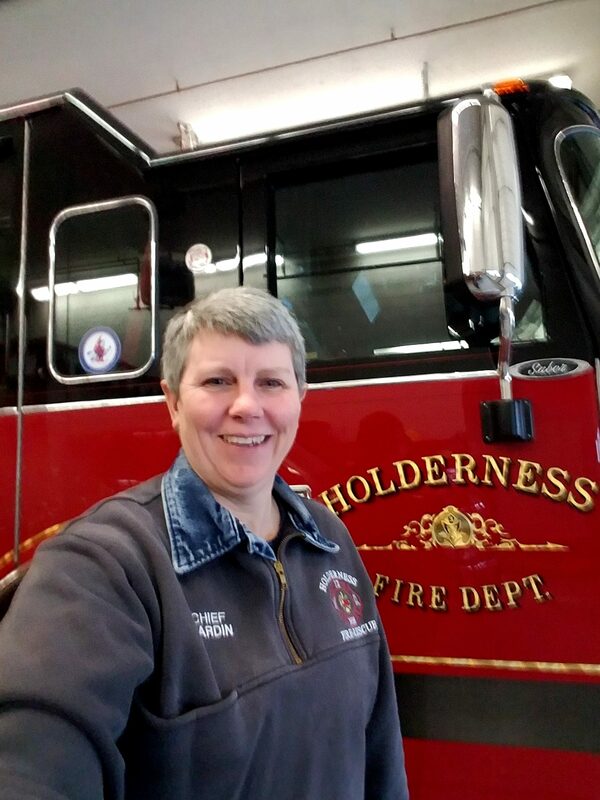 This decorated, dedicated hero is a fourth generation firefighter who prides herself on keeping with family tradition. Some of her favorite memories revolve around the firehouse and her life as a firefighter. She fondly recalls being on call with her father. In the Navy and as a firefighter, Mardin appreciates that her career taught her “how to repair equipment and problem solve.” These crucial skills have helped her succeed in life. As Fire Chief of the Town of Holderness, Mardin is responsible for overseeing a team of 30 firefighters. In this role, she supervises monthly training, ensuring EMTs and firefighters are always in shape and aware of the latest knowledge, techniques, standards, and laws. As a fire chief, Mardin is also responsible for organizing and conducting inspections of new and existing buildings as well as their equipment. In particular, she performs inspections in local schools and other public buildings, ensuring their safety for general use. Having witnessed difficult moments in her career, Mardin looks forward to retirement. She anticipates spending her golden years riding her motorcycle and spending time on her boat. We thank Eleanor Mardin for her time, her service, and her dedication to the community of Holderness!